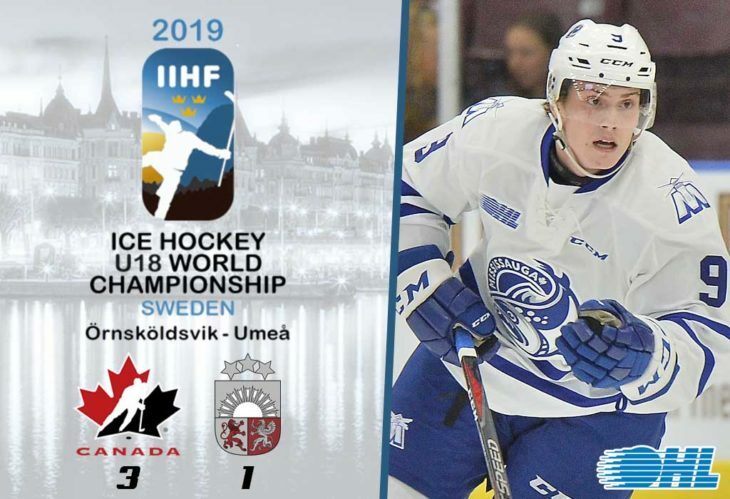 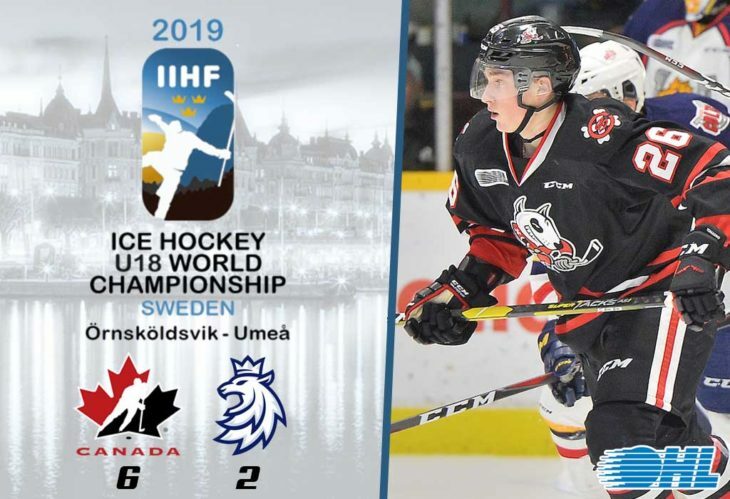 Keean Washkurak and Canada's National Under-18 Team took a 3-1 win over Latvia on Thursday to advance to Saturday's semi-final. 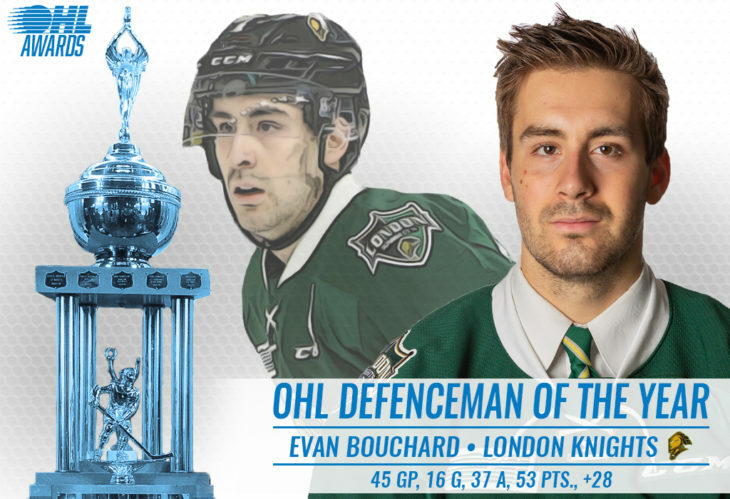 Edmonton Oilers prospect Evan Bouchard of the London Knights has been named the 2018-19 recipient of the Max Kaminsky Trophy for OHL Defenceman of the Year. 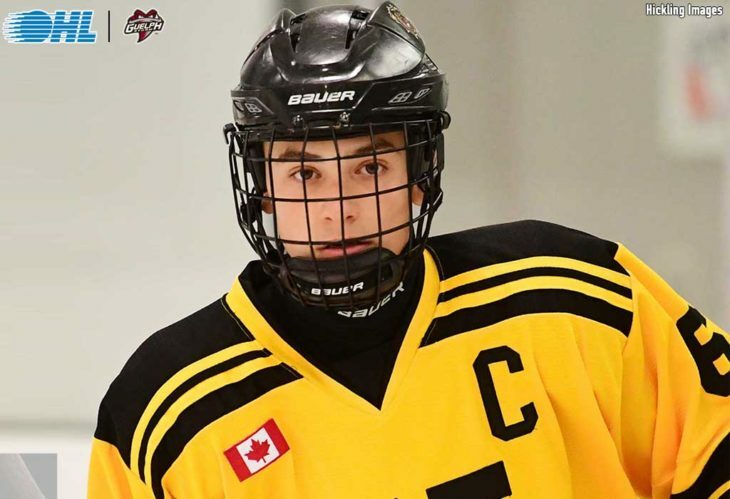 The Guelph Storm has received a commitment from 2019 second round selection Jacob Maillet. 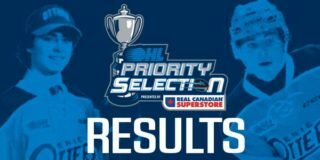 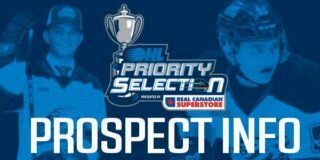 The London Knights have received a commitment from 2018 fifth round selection Avery Winslow. 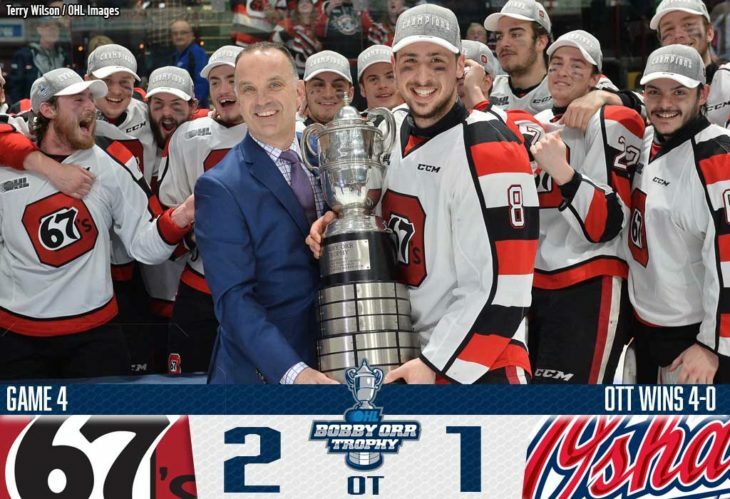 May is nearly upon us as the Bobby Orr Trophy recipient Ottawa 67's await the winner of the Western Conference Championship Series. 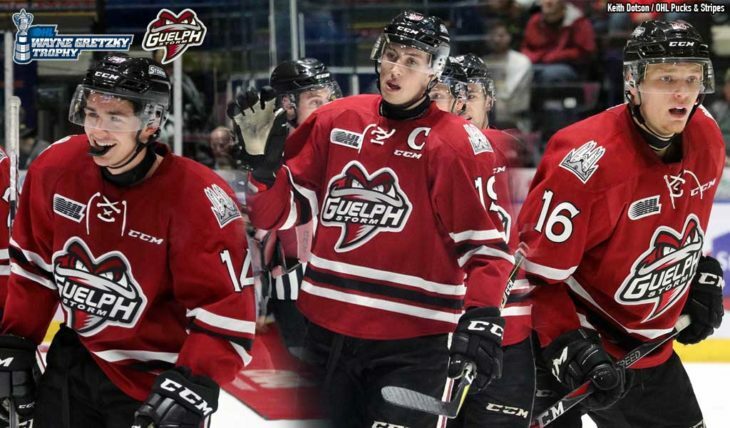 Here's a look at the OHL This Week. 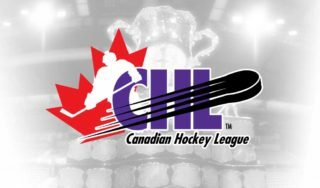 The CHL’s three Commissioners and Board of Directors developed and approved a plan to enhance the continuing evolution of the CHL by hiring its first full-time president. 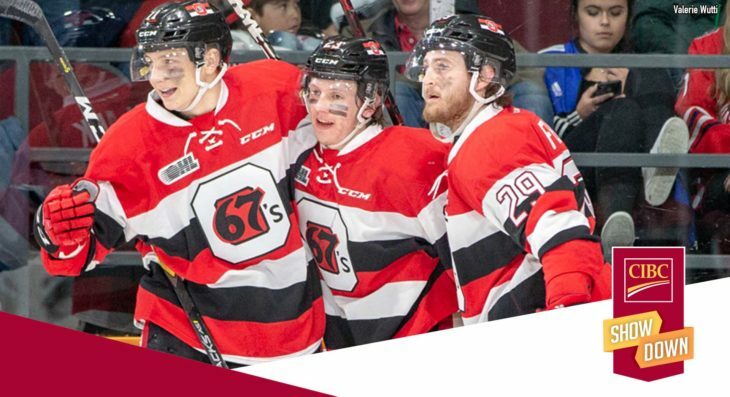 The Ottawa 67's are just the second team in OHL history to begin the playoffs with a perfect 12-0 record, claiming their first Eastern Conference title since 2005. 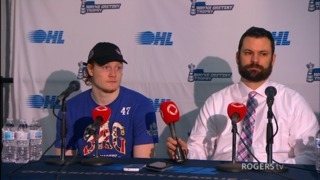 Ottawa’s Tourigny and Felhaber and Oshawa’s Walters and MacLean talk to the media following Game 4 of the East Final. 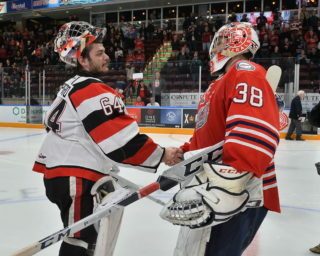 Images from Game 4 of the Eastern Conference Championship Series. 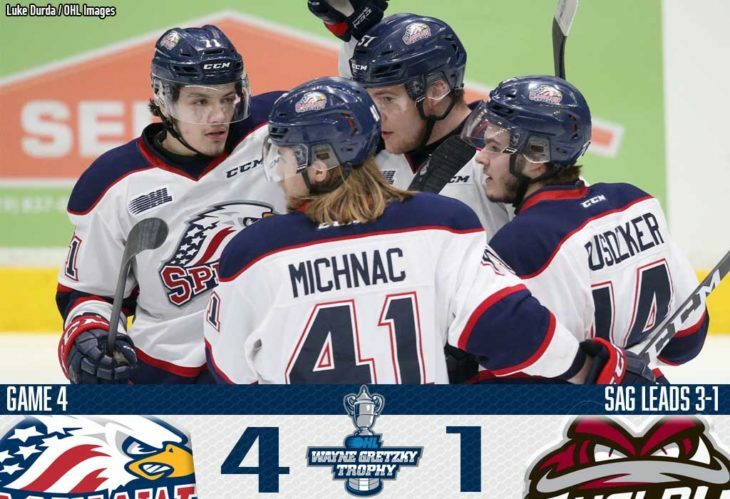 The Saginaw Spirit are one step closer to their first Western Conference title, taking a 3-1 series lead over the Guelph Storm with a 4-1 road win on Wednesday. 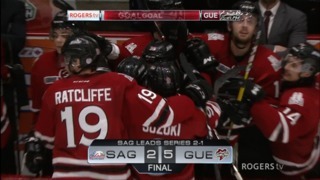 Cole Perfetti scored a pair of goals in a 4-1 Spirit game 4 win over the Storm. 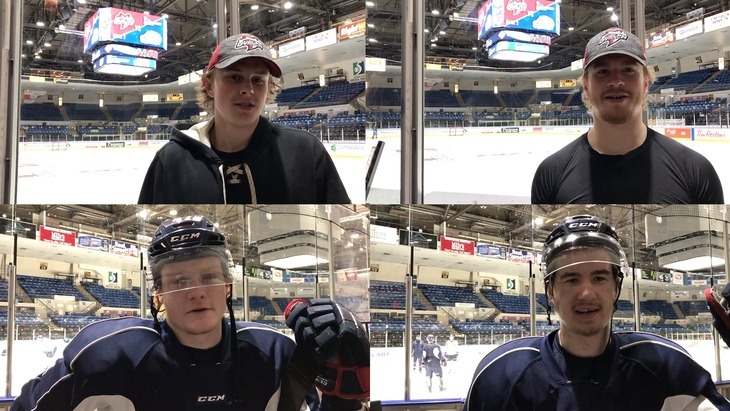 Saginaw's Lazary and Tippett and Guelph's Burnett and Schnarr talk to the media following Game 4 of the West Final. 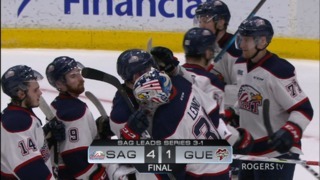 Images from Game 4 of the Western Conference Championship Series. 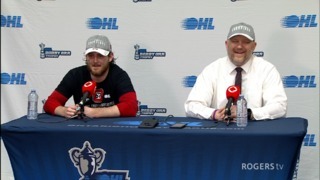 Tye Felhaber after tying the game with 30 seconds to play scores the series-winning goal in OT for the POTN. 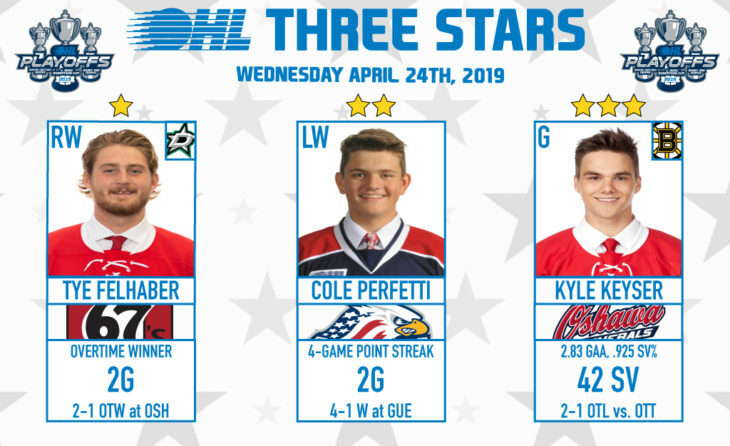 Ottawa's Tye Felhaber, Saginaw's Cole Perfetti and Oshawa's Kyle Keyser are Wednesday's OHL Three Stars of the Night. 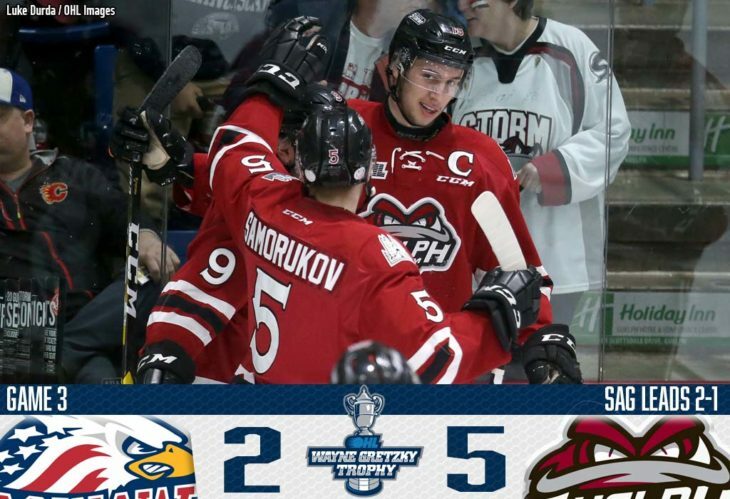 It's been a long time coming for Guelph Storm veterans like Isaac Ratcliffe, Nate Schnarr, and Cedric Ralph to reach the OHL's Western Conference Championship Series. 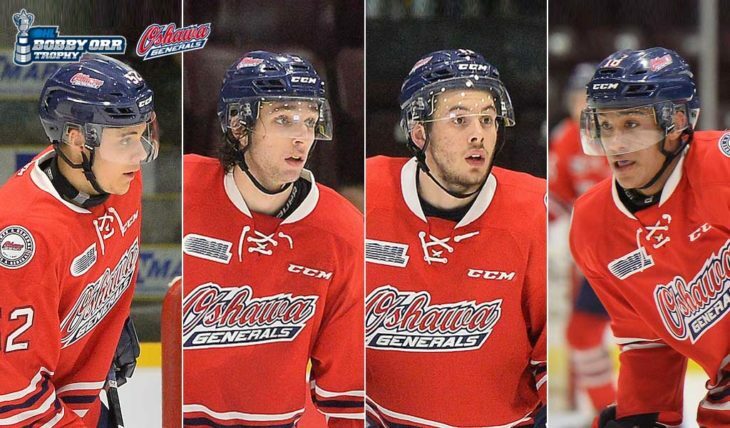 Nicolas Mattinen, William Ennis, Giovanni Vallati and Serron Noel try and solve their hometown team tonight in Game 4 as the Oshawa Generals look for new life. 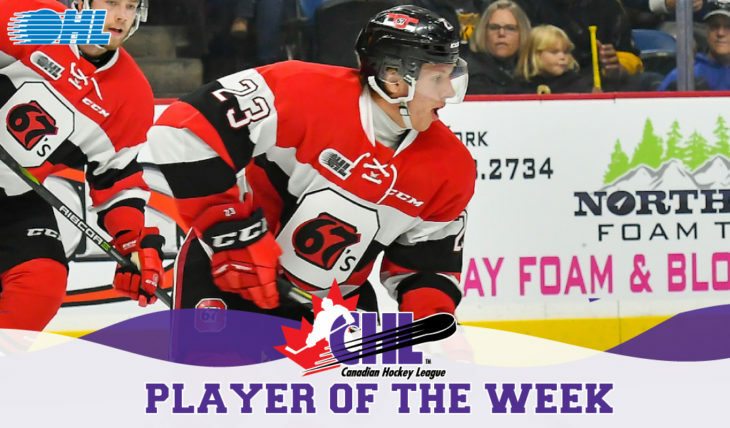 Ottawa 67's forward Marco Rossi is the OHL's representative in this week's CIBC Showdown featuring one great play from all three leagues. 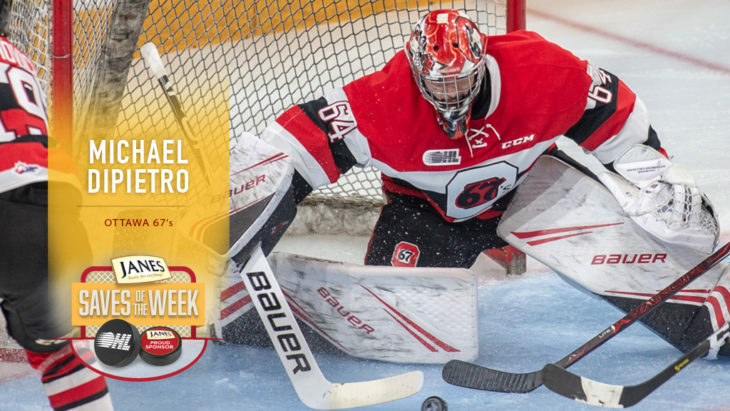 Marco Rossi of the Ottawa 67's is the CHL Player of the Week for the fifth week of playoff action ending April 21st. 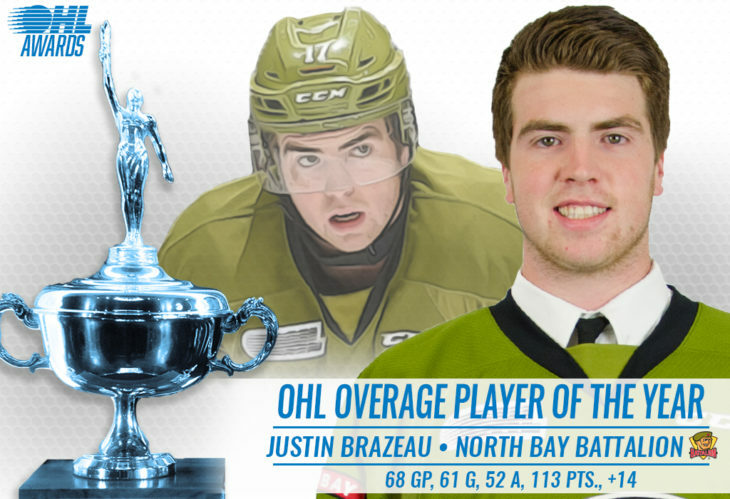 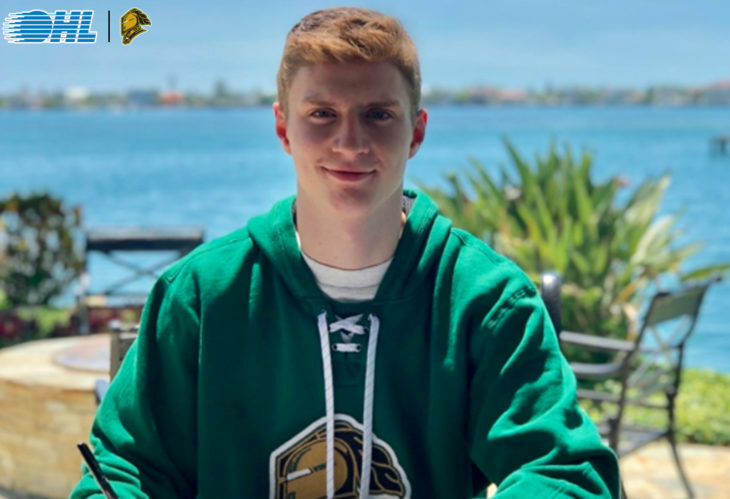 Justin Brazeau of the North Bay Battalion is the 2018-19 recipient of the Leo Lalonde Memorial Trophy awarded to the OHL's Overage Player of the Year. 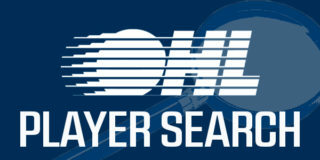 Treat yourself to the terrific work of the OHL's third round tendies in the latest edition of #JanesSaves. 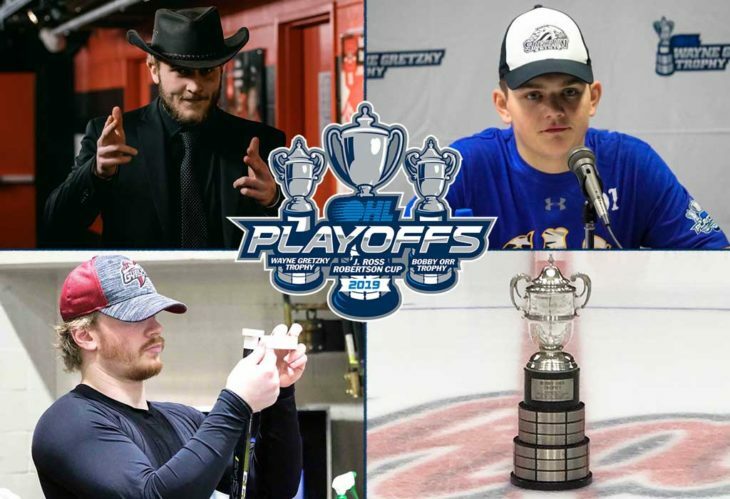 An assortment of shots from the 2019 OHL Eastern and Western Conference Final, displaying the rinks, the trophies and the players behind the scenes. 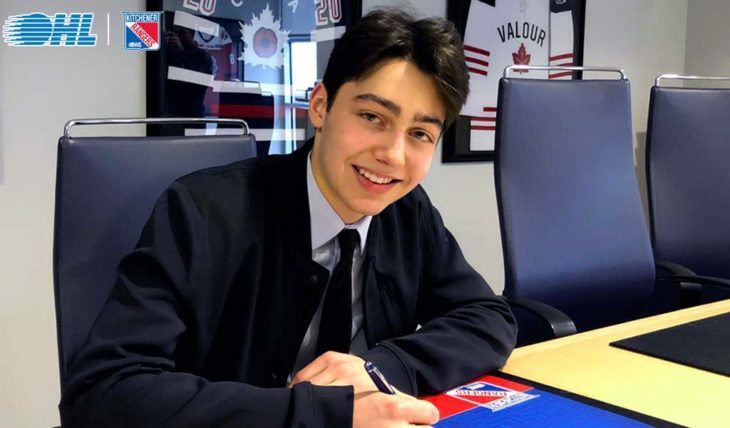 The Mississauga Steelheads have received a commitment from 2019 third round selection Luca Del Bel Belluz. 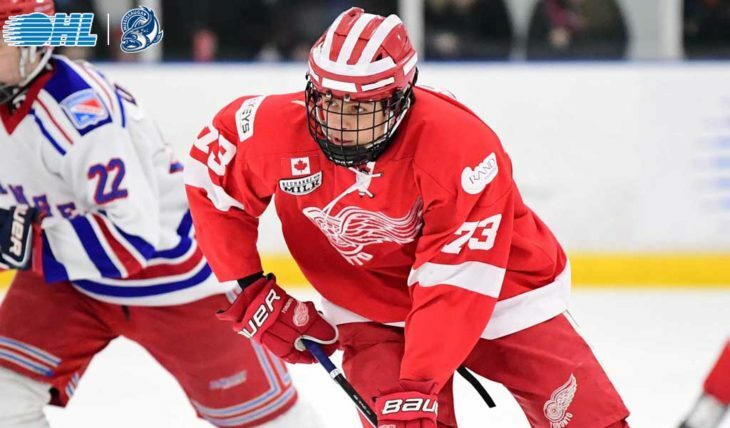 The Kitchener Rangers have received a commitment from 2019 fourth round selection Simon Motew. 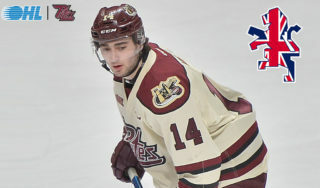 Arizona Coyotes prospect Liam Kirk of the Peterborough Petes will represent Great Britain at the World Hockey Championship for a second straight year. 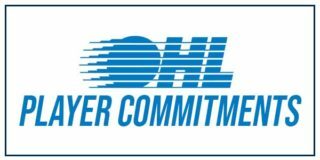 Who will advance and play in the 2019 Rogers OHL Championship Series? 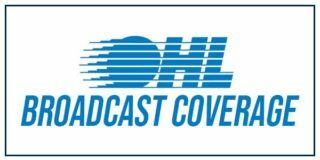 Catch every game live and online with OHL Live! 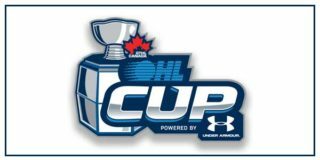 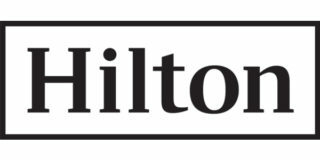 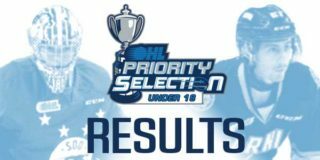 20 of the top Minor Midget teams from across the region battle for the 2019 OHL Cup powered by UnderArmour in Toronto.